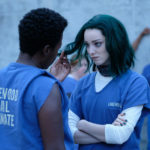 Emma Dumont is now sporting green hair as Lorna Dane aka Polaris in The Gifted. 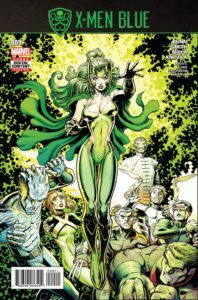 The upcoming FOX X-Men drama The Gifted is probably shooting Episode 4 or 5 right about now, but whatever episode it might be, it appears that Emma Dumont does indeed have the famous green hair of Polaris by this point. 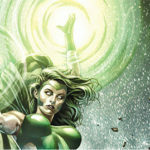 Polaris aka Lorna Dane has always been seen with green hair in the comic books. In the pilot episode which has been screened by critics, and in the trailers, she doesn’t. Could it be that her darker hair in the pilot was a dye job? Or is the green something that develops along the way? 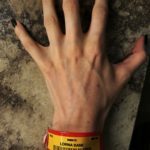 In any event, here’s a photo posted by actress Emma Dumont herself, so you can see how she’s currently looking. 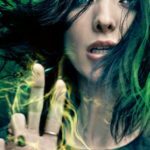 The Gifted premieres Monday, October 2 on FOX.